Montreal, September 10th, 2018 – This Sunday September 16th, the Amyotrophic Lateral Sclerosis (ALS) Society of Quebec will team up with families touched by ALS and renowned ALS researchers as part of Montreal’s 18th Walk for ALS. Over 800 participants are expected at the Maisonneuve Park to walk 4km in honor or in memory of a loved one touched by Lou Gehrig’s disease. What Montreal’s 18th Walk for ALS in support of ALS Quebec. Animated by Gino Lévesque and TSN 690’s Rick Moffat, music, special guests, chair massages, raffles and door prizes will be part of the event. When Sunday September 16th, Registration begins at 9:30am, presentations and walk at 11:00am. Researchers and families touched by ALS will be available for interviews. Who Over 800 participants are expected, including families touched by ALS, Salut Bonjour morning show’s cultural reporter Sabrina Cournoyer, Montreal Alouettes’ cheerleaders and ALS researchers including: Dr. Angela Genge from the Montreal Neurological Institute and Hospital (The Neuro) and Dr. Richard Robitaille from Université de Montréal. Around 800 participants are expected at the walk. This year, the walk’s fundraising goal is $100,000. 40% of proceeds support cutting-edge research currently taking place in Canada and particularly in Quebec. The complementary 60% of proceeds support direct services for people living with ALS at every stage of the disease. The list of Walks located in Quebec also includes Sherbrooke, Outaouais (Ottawa), Quebec city, Saint-Hyacinthe, Laval, Trois-Rivières, Rivière-du-Loup and Charlevoix. ALS can affect anyone: 90% of cases are random and 10% of cases are hereditary. 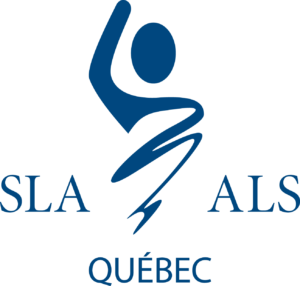 The ALS Society of Quebec is a non-profit community organization that provides programs and services to families touched by ALS during all stages of the disease. Promoting, subsidizing, and advancing research on the causes, treatment, and cure of ALS are also integral parts of the Society’s mission, which survives on donations and proceeds from various fundraising events. Members of the ALS Society of Quebec’s team, researchers and families are available prior to or during the Walk for ALS. Please contact Roxanne Goulet, Communications Coordinator, at 1 877 725-7725, ext. 102 or by email at [email protected] to schedule an interview.